Before I get started, the SheppyBrew Facebook Page has not gotten new "likes" in awhile. If you have not already, please go to the page and like it. 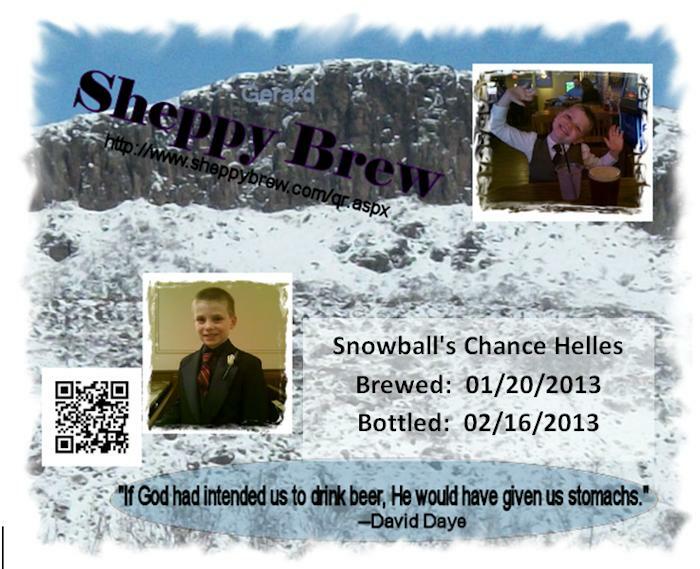 You can use it to follow SheppBrew updates and other brewing news. Here it is ... time for another month's "The Session" (aka Beer Blogging Friday). "In light of it being about two weeks before Valentine's Day, I thought it would be a good time to talk about how we love beer. Pay attention now, as I said 'how,' not 'why.'" "You can say to your partner, 'Honey, I love you.' But think of the saying, 'actions speak louder than words.' From my personal experience, it's always better to show your partner the ways you love them instead of saying simply, 'I love you because you make me happy.'" 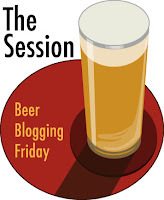 If you need more, check out Ryan's Blog Post: How We Love Beer: Session #72 (Announcement). So, how do I love beer? Part of me wants to say I don't love beer. I love my wife. I love my kids. I love friends and family. Certainly, I don't love beer. I want to say that I don't love beer, but I would be a liar if I did. And everyone who knows me even a little bit would know I was lying. It is difficult to argue that anyone who spends as much time and effort making beer as I do, doesn't love beer. As I mentioned in 2012 SheppyBrew Stats, I brewed 22 batches of beer last year. As an all-grain brewer, I probably average a 6 to 8 hour brew day (granted, most of that time is spent waiting for the mash to finish or for the next addition in the boil). Throw in the time it takes to design the recipes, schedule the brews, buy ingredients, make yeast starters, monitor the batches, keg and/or bottle the beer, label the beer, drink or give away the beer, dream about new brewing gadgets, maintain the website, and blog about the beer. Trust me, we are talking a significant time commitment for me to make beer. Would someone who doesn't love the activity spend so much time and effort on it? Probably not. And, of course, I don't stop the love at just the beer that I brew ... although, lets be honest, I do love my own beers more than anyone else's. I won't go into the ridiculous number of beer blogs I have in my Google Reader or the number of hours I spend reading about beer. Of course, this blog has become a testament to my love of beer. As I mentioned recently, this blog isn't exactly a beer-blog. It is, in fact, a personal blog about me. It was not all that long ago that I didn't blog about beer at all. But as I scan through recent posts, it has been a LONG time since I posted anything that was not about beer. And, as I mentioned last month, my love of beer has become a huge obsession. It is rare that I not brewing, blogging about, listening to podcasts about, reading about, or at least thinking about beer. As far as obsessions go, this is not a bad one. I appreciate how you own up to the fact that this "love" of ours is not a bad thing. Thanks for the great post! Thanks for leaving a comment, Ryan. Also thanks for hosting this month's session.